MOJA was a group project at the end of the last year of a 3-year Computer Science course in high school. The game is a digital recreation of the card game Uno, but intended to be made a little bit uncomfortably off-brand in its presentation. The colors are all off, and the title is a different language's word for 'one'. FORBLE was a paired project by Claire and Ana in the last year of a 3-year Computer Science course in high school. 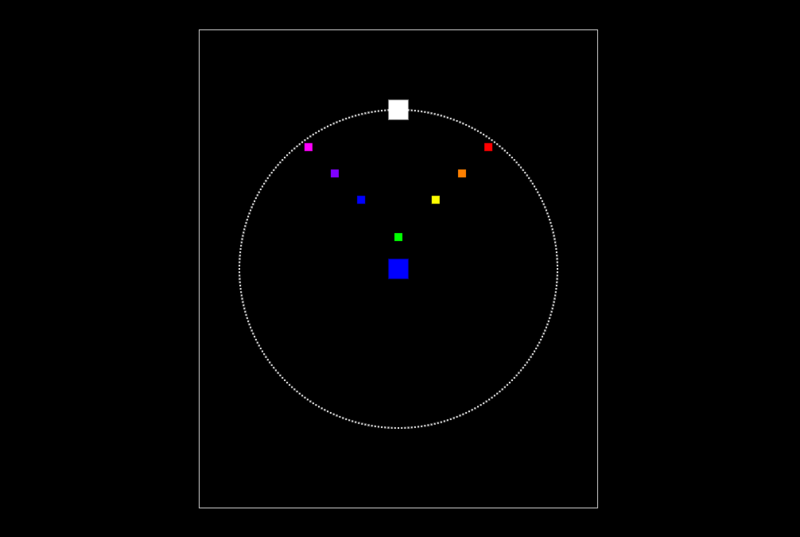 The game involves movement by way of clicking within a radius near the player character to avoid projectiles that move in various ways and flinging dark yellow squares to defeat a series of enemies. CODEQUEST 0.5 began as an independent simple recreation of CODEQUEST 0 that incorporated graphics, but it began fleshing out the lore and characters much more. 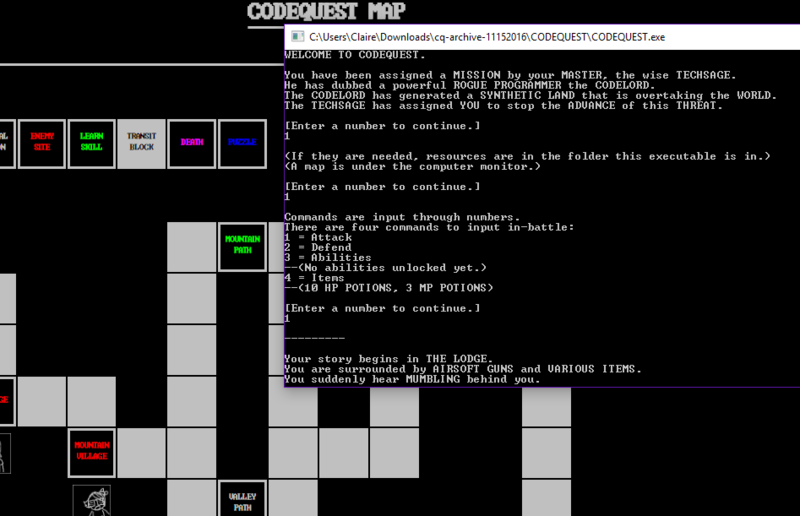 However, it is incomplete-- The lore has been built and will be developed from the ground up in CODEQUEST. 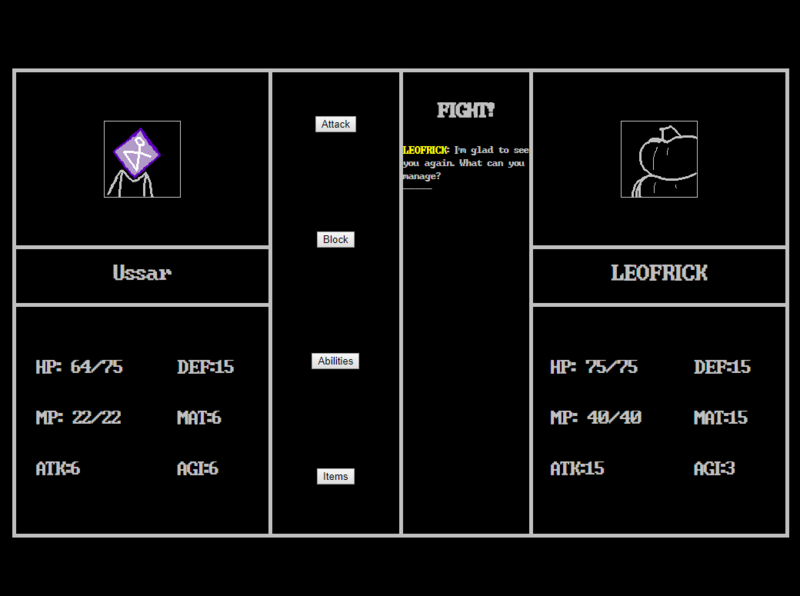 As with its predecessor, CODEQUEST 0.5 is a combat RPG. It incorporates unlockable characters with unique movesets and stories, as well as a multiplayer arena and a chat system. HAZARD was a group project to create a web-based version of the board game Risk, intended to be the final project of the second year of a Compsci class Ussar Datamancy's programmers took in high school. CODEQUEST 0 was Ussar Datamancy's first complete game, an executable created by the head programmer as a final project for her first year in a 3-year Computer Science course. 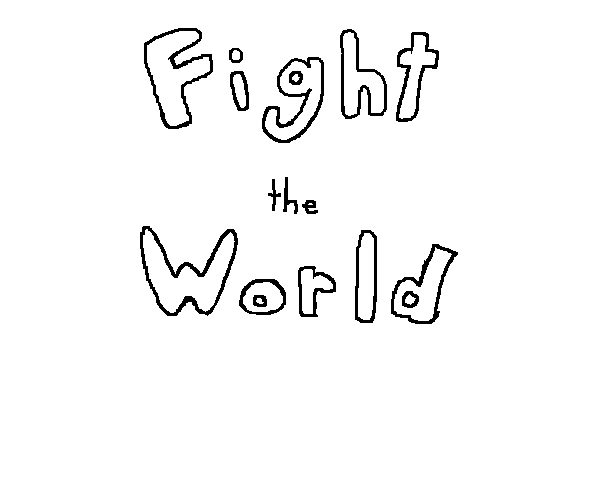 It is a simple text-based combat RPG, featuring caricatures of everyone who was in that Computer Science course at the time as enemies. An additional component of the Senior project that I created independently from any group. 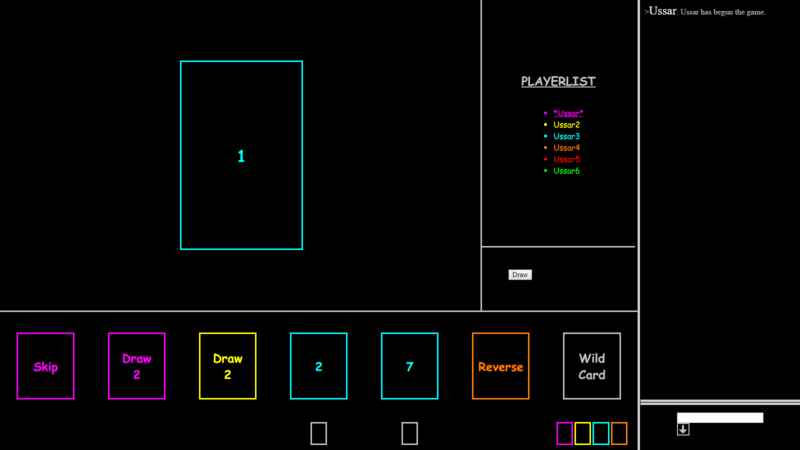 A digital game that takes elements from both Othello and Go. I blame my sister for this-- She showed me Othello for the first time and mislabelled it as Go, so I had a lot of the principles mixed up by the time I started making this. Online capabilities soon, but for now the only option is to play from the same machine. Might I suggest playing it on a virtual machine on a site like rabb.it? A project by another member of USSAR DATAMANCY, Ana-- Perhaps better known as FEUDAL LORD. Description, image and game to come later. It's not done, but will be hosted here. 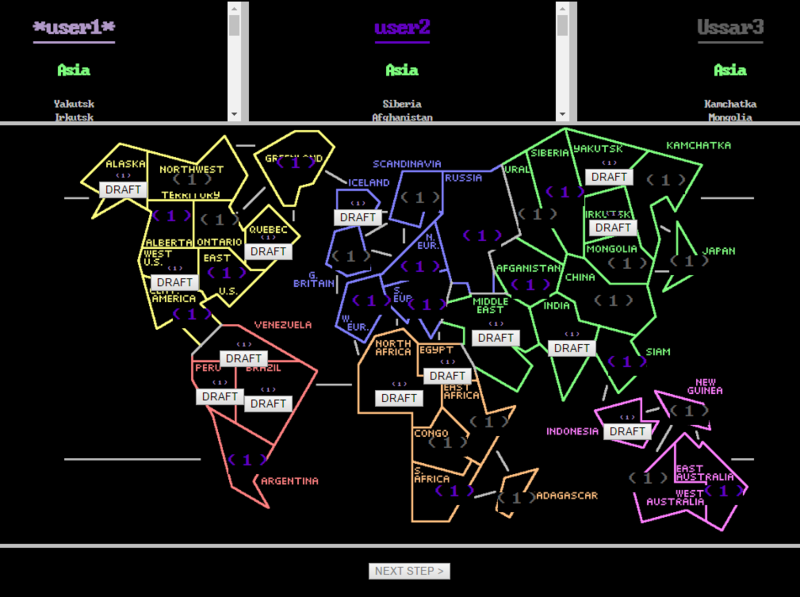 A program that calculates an unexpectedly complicated math problem for any input you give. Includes visuals to give the user a sense of scale. A program that gives the integral of a simple polynomial, in addition to as many derivatives as the polynomial has. A program that allows a user to find out the size of a rectangular region on a planet about the size of Mercury that contains a direct path between two coordinates. I made this to help with the creation of a game that takes place on a world about the size of Mercury called Delta.